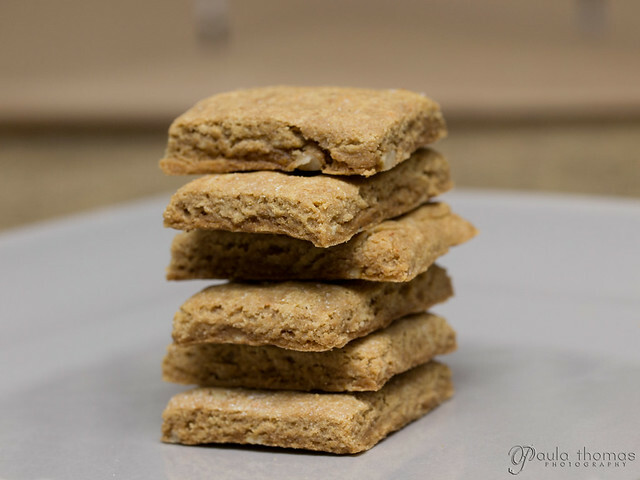 I've always wanted to try making crackers so was excited to see several different cracker recipes in the Allergy & Candida Cooking Made Easy cookbook. 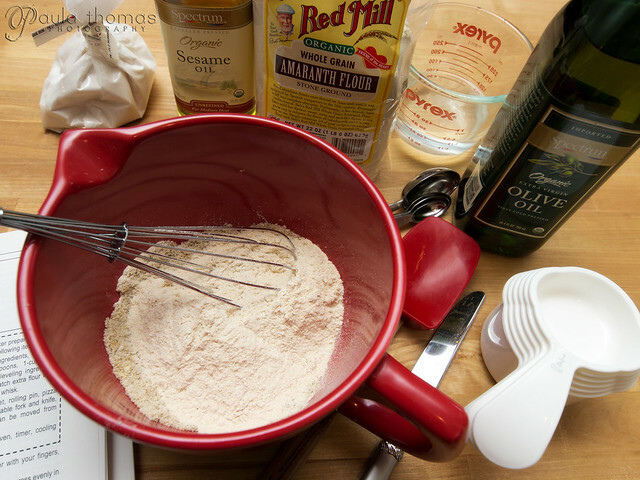 On the candida diet you are supposed to stay away from white flour so there are a lot of recipes using alternative flours. Some say on the candida diet you shouldn't have any gluten but I have found several recipes that contain kamut and/or spelt which are glutenous. From what I've found, there is quite an array of gluten free flours options: almond, amaranth, arrowroot, barley, brown rice, buckwheat, chestnut, chickpea, coconut, corn, garbanzo bean, guar gum, millet, oat, potato, quinoa, rye, sorghum, soy, tapioca, teff, white rice and xanthan gum. So far I have purchased amaranth, arrowroot, buckwheat, guar gum, oat and tapioca flours. I haven't used them all yet. I've also purchased whole buckwheat, guar gum, oat, quinoa and teff to make hot cereal for breakfast but I could make flour out of them using a blender and probably will make some eventually. I've also got kamut but I'm not eating that one very often since it is gluten. 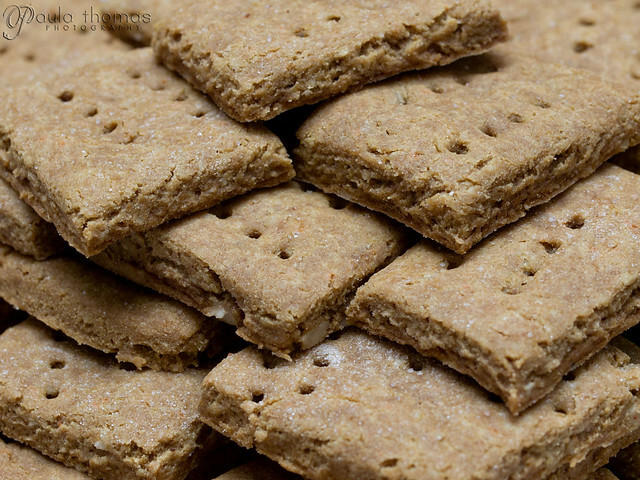 For this cracker recipe amaranth and arrowroot flours are used as well as ground up sunflower seeds. I thought my first attempt at making crackers went pretty well. It's the first thing I've baked since going on this diet so I was excited to have something to snack on besides fresh nuts, seeds and vegetables. The only problem I had with the recipe is rolling out the dough on the baking sheet. 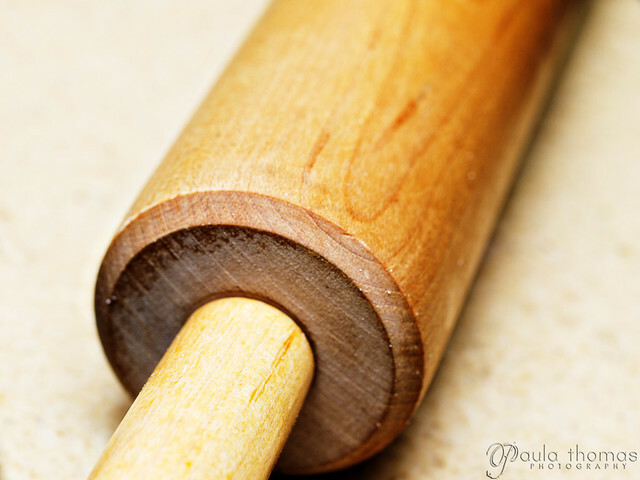 My rolling pin has handles that get caught on the sides of the baking sheet so I couldn't use it to roll out the sides. Instead I used a glass jar to get the sides. Next time I think I will roll it out on a Silpat first and then put it on the sheet. I might also roll it out a little thinner next time. 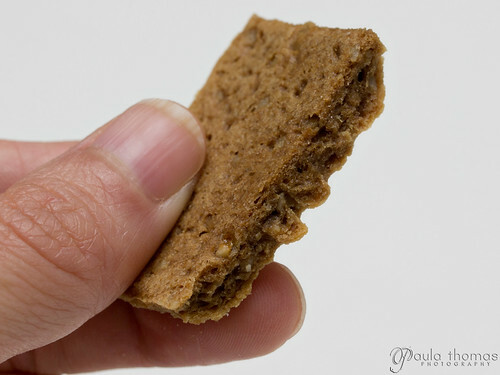 I've already got a recipe picked out for next week and I'll be doing some more baking, this time with buckwheat flour and guar gum.